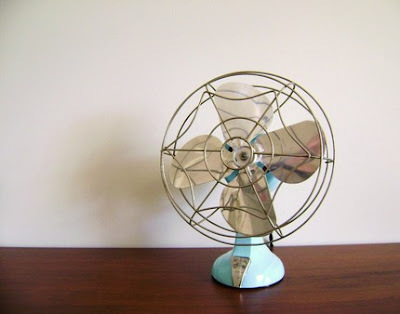 Refurbished aqua blue "Eskimo" vintage fan, newly listed in the shop! My dad used to buy this fan all the time when he went antique shopping...who know how popular they would become. Love your finds! i really like it:) id buy it if i could!